A humorist, cartoonist, speaker, and writer, David Davis is a Texas native with a gift for storytelling. Davis's colorful characters come to life in his lively and timeless stories. Though most of his picture books are set in the South, they transcend the regional label. After time in the banking industry, he began a career as a political cartoonist. In the mid 1980s, he started working as a freelance humorist. Davis's satirical poem “Redneck Night Before Christmas” attracted the attention of Pelican and led to the publication of his first book. His subsequent books, filled with humor, flair, and catchy language, are a tremendous success. 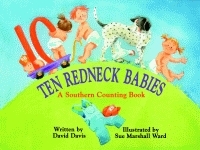 Ten Redneck Babies: A Southern Counting Book and Jazz Cats were both named to the Children's Choice Top 100 List. Jazz Cats was a finalist for the Texas Golden Spur Award and is an Accelerated Reader Program selection. 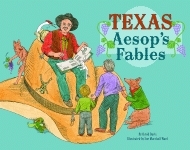 Texas Mother Goose and Texas Aesop's Fables were named to syndicated columnist Glenn Dromgoole's yearly Top Ten Texas Books, and Librarian's Night Before Christmas struck a chord with hard-working librarians everywhere. In addition to his books, Davis's artwork, cartoons, poems, and short stories are featured in various publications across the country. His political cartoons won an award from the Mississippi Press Association. 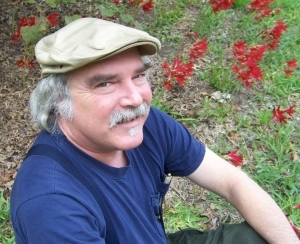 He is a member of the Society of Children's Book Writers and Illustrators and is in demand as a speaker and presenter at educational conferences, libraries, and schools. Davis lives in Fort Worth, Texas. A rhythmic jazzy story in verse, Jazz Cats tells about the escapades of some real cool cats that know how to entertain. Their jazz combo plays together in the streets of New Orleans. From the blow of the clarinet and trumpet to the pluck of the fiddle base and beating the trash can drums, these Dixie, dancin’, jazz cats know how to have fun. Hardcover. Due to low staffing, a librarian must spend her Christmas Eve stacking the shelves at a library in desperate need of renovations. After the strain of a long night that has left her feeling “like Bob Cratchit in A Christmas Carol,” she is pleasantly surprised to see Santa and his elves coming to her rescue in a red bookmobile! Christmas Eve can be busy, especially for the head nurse at Angel Hope General Hospital. Too many patients, too little help, and a crowded ER all threaten to make this night before Christmas one big headache. It seems that nothing could bring holiday cheer to the patients and staff of this hectic hospital. Hardcover. As Christmas Eve settles on the quiet trailer park, everything is as still as a rabbit caught in headlights. That is, until the Christmas Redneck appears on the scene. Rock ’n’ Roll Dogs, a companion book to Jazz Cats, guarantees the reader a howl of a good time! In the Fireplug doggie disco, kids are welcome to visit but not fleas, cats, vets, squares, or ticks. As stray dogs strut outside wearing leather jackets, pink toy poodles groom in the flea-powder room, the bulldog doorman checks doggie tags, and Duke, a springer spaniel, waits the tables. All dogs dance to the sounds of the Rock ’n’ Roll Memphis Blues Dogs but are very careful to not step on any blue suede shoes. Through catchy rhymes and sweet verses, this collection of poetry delivers a simple reflection on childhood pleasures in the South. More than fifty poems capture such charming reminiscences as resting under a shady magnolia trees, slurping watermelon, and rocking on an old porch swing. Mother Goose flies way down south in this Southern take on popular nursery rhymes. The twang in these poems adapted from the verses we all know and love will have readers donning their NASCAR™ caps and listening to the ole’ banjo in no time. Whether reading one or all, this set of forty-six beloved rhymes oozes with Southern charm. This classic carol is served with a hot side of grits! In this adorably Southern take on The Twelve Days of Christmas, gifts are presented to someone’s “sugar.” Sing along in joyful Southern style year after year with this entertaining cast of characters! From Moon Pies to magnolias and kudzu to catfish, ten diapered dynamos get into all kinds of down-home trouble. Children will love counting down, then up again, to the babies’ adventures, while adults will hoot at the hilarious rhymes. David Davis’s rhyming text captures the cadence and humor of the Southern vernacular, just as Sue Marshall Ward’s colorful illustrations conjure the rural sights of that region. Hardcover. 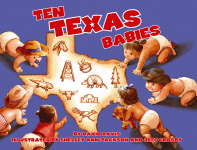 In this adorable counting book, ten Texas babies mosey into town, and each one gets into mischief. Wearing boots and cowboy hats and eating rice and beans, they have themselves a fine time. Children will hoot and holler as they count down and up again with the babies as they swim in the creek, follow an armadillo, find Grandmaw’s bonnet, and chase a longhorn. In thirty-three parables, master storyteller David Davis retells age-old lessons about life, fairness, and honesty with a Texas twist. From classic stories, such as “The Goose that Laid the Golden Eggs,” to new western legends, like “The Cowpoke Who Fooled His Friends,” this collection teaches children the importance of telling the truth and treating everyone with respect. This fun Texas romp through over fifty nursery rhymes yields such results as “Mary Had a White-Faced Calf,” “There Was an Old Cowgirl Who Lived in a Boot,” “Cactus Jack Horner,” and “Twinkle, Twinkle, Texas Star.” With its unforgettable Texan flavor combined with vibrant, colorful illustrations, this book will delight all ages. Lively vocabulary encourages young readers to laugh and learn as Humpty Dumpty turns into a plate of huevos rancheros after his fall and Little Miss Toni eats her biscuit and jerky. This new addition to Pelican’s Twelve Nights Before Christmas Series answers the question, “What would Christmas Eve be like if Santa was a trucker?” The result is a humorous encounter at the Midway truck stop that is sure to please children and adults alike.